Car maker Volvo is piloting a cloud service for car-to-car communications that can warn drivers of dangerous road conditions. The pilot involves 1,000 cars in Norway and Sweden, where roads can be snowy and icy in the winter months. 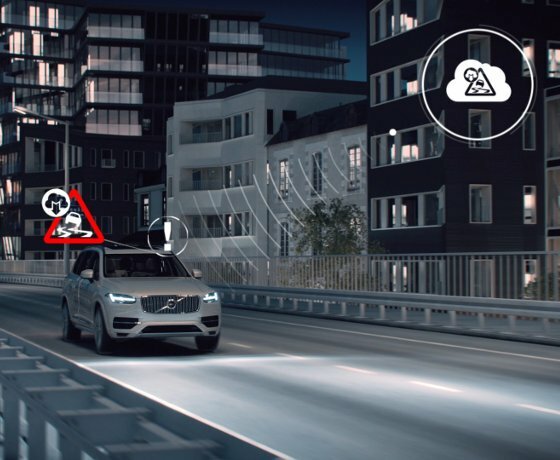 Demonstrated on the Ericsson stand at Mobile World Congress in Barcelona, the so-called Volvo Cloud is a machine-to-machine social network where connected Volvo cars can detect slippery road conditions and warn other Volvo drivers of the danger. Speaking to Computer Weekly about the system, Klas Bendrik, group CIO for Volvo, said: "We are collecting anonymous road friction information communicated from the car to the Volvo cloud. If the car identifies slippery roads, you get warnings in the vehicle. Other cars in front and behind you will also be alerted." He said the Volvo Cloud aggregates the data sent by the cars and shares this information with the road authorities. The project in the Nordics follows a small-scale pilot of 50 cars last year, which involved a collaboration between Volvo, the Swedish transport administration Trafikverket and the Norwegian public roads administration Statens Vegvesen. Car makers are re-inventing the core values of the automotive industry. Renault-Nissan Alliance to bring an autonomous connected car to the market in 2016. Ford announces app to enable users to control their cars remotely. Survey finds 70% of drivers are interested in or are already using connected car services. The car maker is also investigating a range of connected car services that could be delivered through in-car data from the Volvo Cloud. Along with slippery roads, drivers could eventually be able to use the system to get real-time alerts for severe weather or emergency braking. Bendrik said the Volvo Cloud would eventually be able to communicate with other clouds to link connected cars to the internet of things. "You could connect to traffic lights, reduce road speed limits or use connected lights to alert drivers and other road users of dangerous conditions," he said. Bendrik hopes the systems will become standard in the Nordics in 2016.